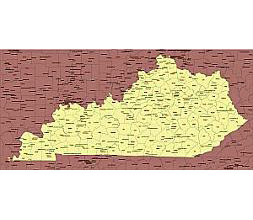 Editable royalty-free map of Kentucky, KY in vector-graphic online store. Each file is fully customizable with the ability to change the color, font of individual counties and states to suit your needs. 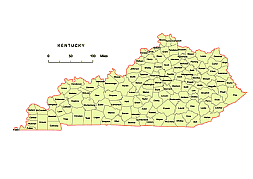 Kentucky is a state located in the East Central United States of America.Kentucky borders seven states, from the Midwest and the Southeast. 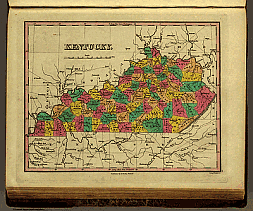 West Virginia lies to the east, Virginia to the southeast, Tennessee to the south, Missouri to the west, Illinois and Indiana to the northwest, and Ohio to the north and northeast. 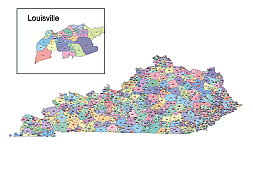 Kentucky zip code map, 2015. New ! 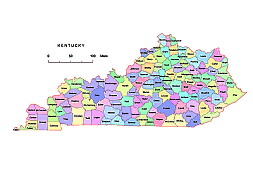 Colleges and universities in Kentucky state.Vector map. 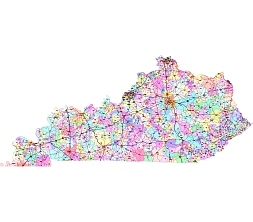 Preview of Kentucky county vector map, colored. 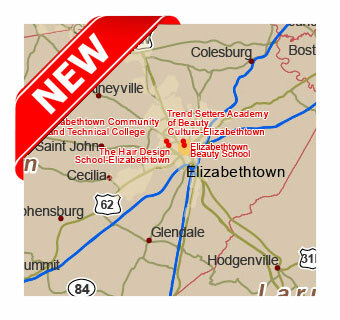 Preview of Kentucky State vector road map.